As paranoia, prejudice, and terrorist attacks threaten to plunge the city into full-scale war, Nora’s scientist father and his team continue their desperate race to unlock the secrets of “The Laz” and find a cure. But their efforts may be doomed when a mysterious zombie appears bearing an entirely new strain of the virus-and the nation of New Victoria braces for a new wave of the apocalypse. 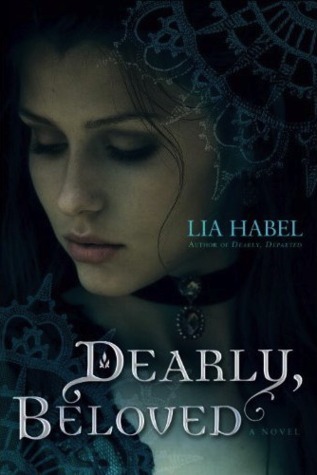 The second instalment of Habel’s zombie romance, while an enjoyable read, carries many of the same failings as the first. I was able to overlook them in Dearly, Departed because of the intriguing concept, but I had hoped for some growth in the characters and the story and found none. I continue to admire the unique world created by the author and its rich history, but found the characters tiresome and their motivations erratic. The New Victorian society, with its cool gadgets and technology coexisting with the Victorian stress on social classes and etiquette, is made more interesting in this book with the introduction of some new toys and a car! I would have liked more insight into the Punk world, and feel this aspect is woefully under-explored. The Punks are just an idea rather than a fully fleshed out culture and people, which is disappointing. This book concentrates on the tension between the living and the zombies, as society tries to work out a way for the two groups to peacefully coexist. Fascinatingly, laws have to be rethought, especially those pertaining to marriage and inheritance, and again, I wish more time had been dedicated to this, rather than it being a throw away comment in the book. I didn’t like Nora much in the first book until she was taken away from her home and the rules of her society were suspended. In this book Nora returns to her annoying behaviour, but now with a side of being incredibly self-centred. 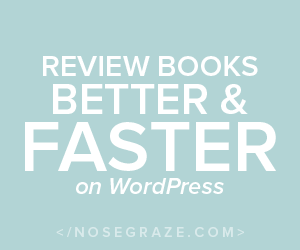 Although I was annoyed at Pamela for being whiny in this book, I agreed that Nora was too quick to leave her best friend and run off with her new – dead – friends. There was also an incident with Ren that really had me seething: I can’t comprehend the selfishness Nora displayed in that exchange and was bitterly disappointed that no one called her out on it. I felt like she was just being rebellious because she could, because she knew she had a lot to hold over her father, because she knew Bram would back her up. It didn’t endear me to her at all and I spent a majority of my time wanting to slap her. The story is again told through multiple points of view: there are six! In addition to Bram and Nora, we have the views of Pam, Vespertine, Michael, and a new character, Laura. I think Vespertine and Laura didn’t need their own chapters as their voices didn’t add anything, and Laura was just a device to show us what Coalhouse was up to when he wasn’t with Bram or Nora. Michael’s thoughts were valuable because his motivations are interesting, but that’s about it. Pamela’s story, although poignant, was largely useless as well. In fact, a lot of this book made no sense and was too convoluted for my liking – it seemed like things happened just to fill up space. 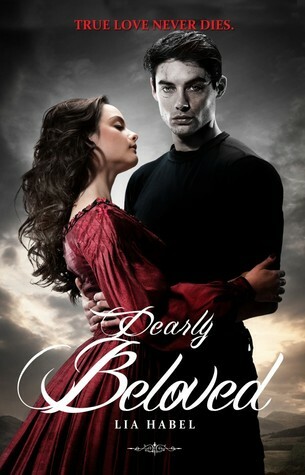 Dearly, Beloved will probably be enjoyed by some readers, but I wish the story of Bram and Nora had ended with the first book. This story feels too forced, the characters are still immature and overall the concept is losing its appeal. I did like the final showdown in the book, and it has left some intriguing questions unanswered, but ultimately I think life is too short to waste reading the rest of the series. If you try it, I hope you like it more than I did.